John S. Banks is the program chair for the Master of Arts in Innovation and Creative Technology at JFK University. He came to JFK from Champlain College where he was director of the MFA in Emergent Media. John was also at National University, where he served as Program Lead for Digital Entertainment, Chair of the Media School and Interim Dean of Media & Communications. 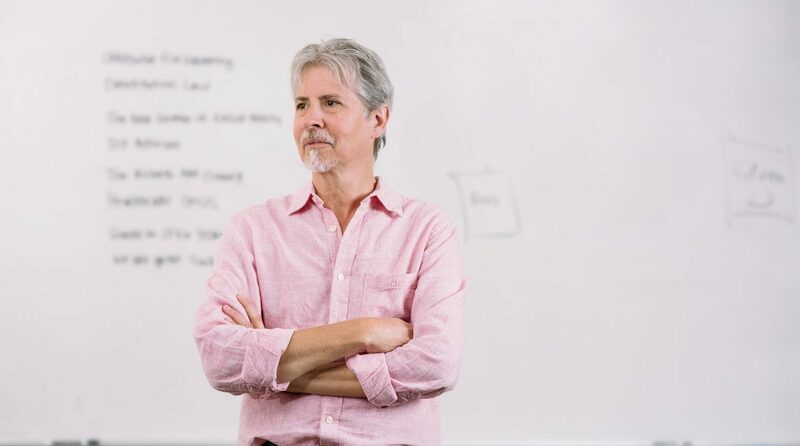 John started his teaching career in 1996 at Columbia College in Chicago. He has worked with digital tools since the early 80s when he co-founded the computer graphics firm Rising Star Graphics in Chicago. Rising Star was a leading company in designing complex CG systems for creative clients as well as staying on the leading edge of the emerging digital creative field. Being a strong believer in maintaining professional practice, John has released four DVD and Blu-ray compilations of his work. Walt Disney distributed the most recent work, WOW World of Wonder. He has also worked on several large civic installations including the Crown Millennium Fountain in Chicago. John has focused on merging experiences with creating artwork, running a startup business and collaborating with students into an experiential set of processes for being creative and adapting to change. His own artwork focuses on a mix of nature and technology and is always seeking deeper and newer ways to express his interests in how we see the world. John was a recipient of the Mellon Foundation Fellowship for his MFA in Art & Technology while at the School of the Art Institute of Chicago. He studied Non-Silver Photography and Printmaking with Todd Walker for his undergraduate BFA at the University of Arizona.